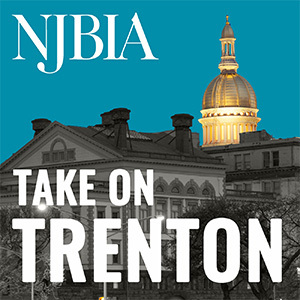 On behalf of our member companies that provide more than 1 million jobs in the state and make the New Jersey Business & Industry Association the largest statewide business association in the country, we would like to offer comments on Assembly Bill No. 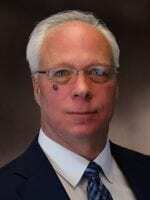 4221 (Pinkin) and Senate Bill No. 1074 (Smith, Bateman). Both bills would codify the Public Trust Doctrine in statute and provide standards by which the Department of Environmental Protection would implement its public access regulations. Public access in New Jersey has a long, and often troubled history, checkered by numerous court decisions, various regulatory proposals, and now legislation. Given the importance of our public trust lands to the people of the State, through commerce, fishing, navigation, and recreation, it is important that we strike the right balance in any legislation that is passed. NJBIA, while strongly supportive of the intent of this legislation, and the importance of codifying the Public Trust doctrine, still has concerns with some of the language in these bills and we are seeking relatively minor changes that we believe will significantly improve the legislation. First, I want to provide you with some background about the breadth of this legislation and what the state of public access actually is. These bills do not merely apply to the 126 miles of shoreline along the Atlantic Ocean. They apply to the shorelines of all tidal waters encompassing 1,800 miles in 231 municipalities and 17 counties. Every development along these 1,800 miles of shoreline will subject to these provisions, from major industrial facilities to single-family homeowners. The implications are large. Despite much negative publicity over a few bad actors who have tried to deny public access along certain beach areas, generally access to tidal waters in New Jersey is robust. There are over 3,900 public access points along these shorelines. In looking at the Atlantic shoreline, 94% of the area meets the U.S. Army Corps of Engineers standard of one access point every ½ mile while 98% of the Atlantic coast meets the more stringent ¼ mile standard. People can get onto the beach without much effort. The NJDEP also has been helpful in promoting additional and more meaningful public access by voluntarily working with municipalities to prepare Municipal Public Access plans intended to enhance public access throughout the State. The DEP has 48 proposed MPAPs on its website. Even more meaningful is the fact that the DEP has funded nearly $100 million in projects over the last three years to enhance public access in our urban areas. Much of this money has gone to support walkways and parks along the Passaic River as well as along the Delaware River in Camden. The Hudson Waterfront walkway is thriving. This is meaningful public access in our urban areas. When reviewing this legislation before this committee meeting we found that a couple of issues may have been overlooked in the process. We are concerned, as currently drafted, that these bills could bring us back to the problematic DEP regulations that existed prior to 2010. Those regulations had required 24/7 access on beaches and parks, as well as private property, they required that facilities that were rebuilding a bulkhead had to pay tens of thousands of dollars to local communities for their public access “payment,” and they forced homeowners to allow the public to fish in their backyards. These were real requirements. There were many more. These excesses were largely solved by new regulations, still in place, but they may be reinstated by the DEP under this legislation. Our concerns with these bills are twofold. One, while it purports to codify the Public Trust Doctrine it actually goes beyond. Language in the legislation to require the DEP mandate public access “to the greatest extent possible” goes significantly beyond the NJ Supreme Court’s holding in Matthews v. Bay Head where the court looked at the need for public access on a property, other nearby access points, the public demand, and burdens. We recommend that the “greatest extent possible” language be deleted and language referencing case law be inserted. We are also concerned that even minor permits will be forced to comply with public access requirements adding time, complexity, and substantial cost for what should be a cookie cutter, easy to obtain permits. To avoid this regulatory problem, we believe that general permits, permits by certification, and permits by rule should be exempted from the requirement to study and provide public access. There is no need to subject these permits to public access requirements and to clog up the regulatory program. We believe that our proposed amendments would not at all diminish the intent of this legislation but would, instead, avoid regulatory problems in the future. Let’s get this legislation right while we have the chance.